The oneshot of Koe no Katachi caused quite a stir in Japan because of the its socio-critical theme. 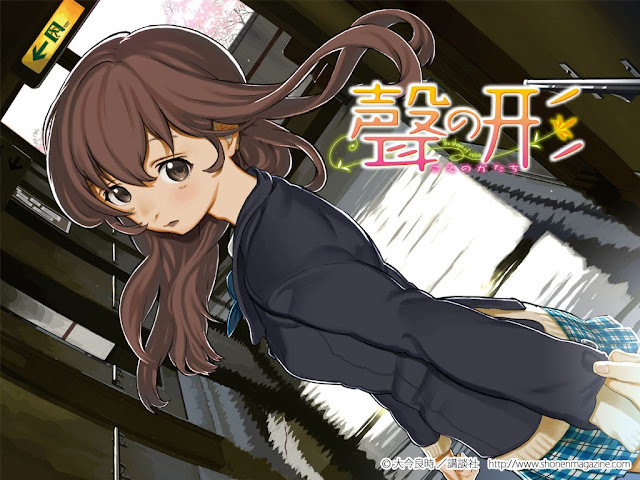 The one-shot was about a girl with impaired hearing who transferred into a new grade school class. Although this one-shot won the 80th Weekly Shounen Magazine Newbie Best Mangaka Award, the vector of the content made it difficult for publication in any manga magazine, until it was picked up, after months of legal dispute, by the February edition of Bessatsu Shounen Magazine, where it got first place despite its being a one-shot. This one-shot was recently publicized again on the 12th edition of the 2013 Weekly Shounen Magazine. Koe no Katachi started running in Weekly Shonen Magazine's double issue 36-37. Ooima is one of the bravest manga authors for creating a manga in this socio-critical theme. Not only did she create a oneshot that shook the core of many readers creating both fans and haters, but she followed through with it and managed to get a series publicised. 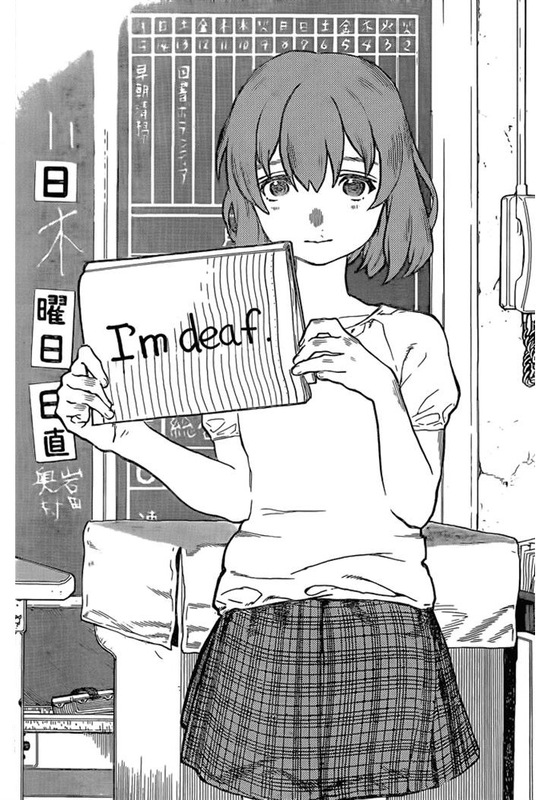 The oneshot also titled Koe no Katachi showed how one individual's bullying influenced others in doing the same act on a single person, in this case bullying a deaf girl. The series is completely based off the oneshot, however it goes into detail on the bullying and the feelings of those affected by it. This is Ooima's second known work, the first being a sci-fi action drama manga called Mardock Scramble. Although she was just the artist, in some sense this series helped build certain aspects that manifest in Koe no Katachi.